Triethyl phosphate TEP-cas No:78-40-0 - ZhangJia Gang YaRui Chemical Co., Ltd. These are products CAS No. 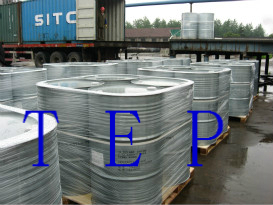 circumstances change, such as Triethyl phosphate TEP-cas No:78-40-0 information, please contact us! If Triethyl phosphate TEP-cas No:78-40-0 product is not what you want, we can be customized according to your needs, please send us your order to Email: sales@yaruichem.com , or click here to post your buying lead.